MeliaeSVG is really cool icons for Linux distro's. It makes your Linux different from others. 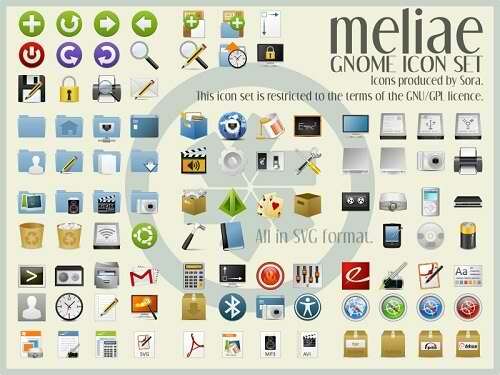 Author said It is Gnome Icon Set but It's name is MeliaeSVG.